Every fall, USA Hockey’s National Team Development Program brings a new group of elite hockey players from across the country to Metro Detroit. 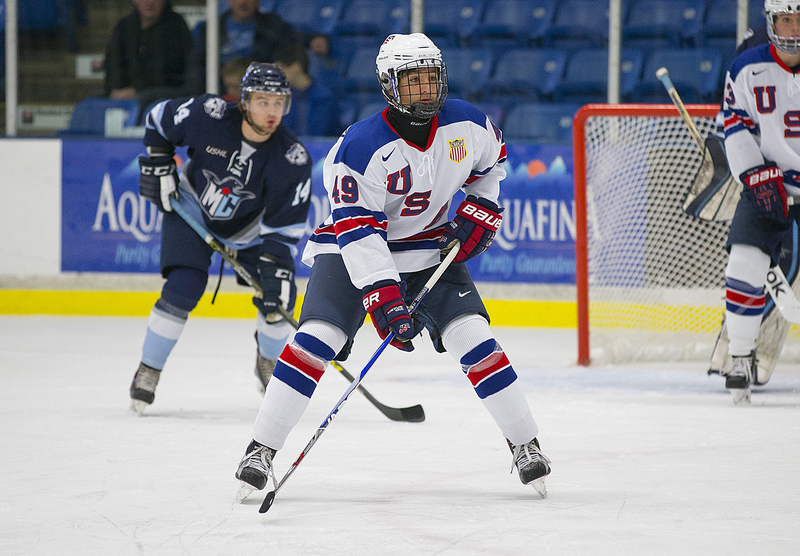 Randy Hernandez, a Miami native, is one of many who come from non-traditional hockey markets to skate with the NTDP in Michigan. Randy Hernandez certainly puts the “National” in United States National Team Development Program. A Miami native, Hernandez is just the latest player from outside non-traditional hockey hotbeds across the country to develop his talents with far fewer amenities than those in areas like Michigan, Minnesota or Boston. But watch the 16-year-old forward on the ice at USA Hockey Arena in Plymouth and one would never even think to assume Hernandez is from Florida, yet he’s now a key component of the NTDP’s Under-17 Team this season. 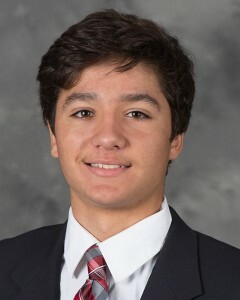 During the 2014-15 season, Hernandez skated for the Florida Alliance U16 AAA program and was actually shocked and stunned to learn that the NTDP brass was tracking him all year long. Again, the old adage about it not mattering where you play and the scouts finding you applies here. Hernandez went to the program’s evaluation camp this past summer and made enough of an impression to be offered a spot for the Under-17 squad. He happily accepted. Trying something different was in the cards and that’s where hockey emerged. 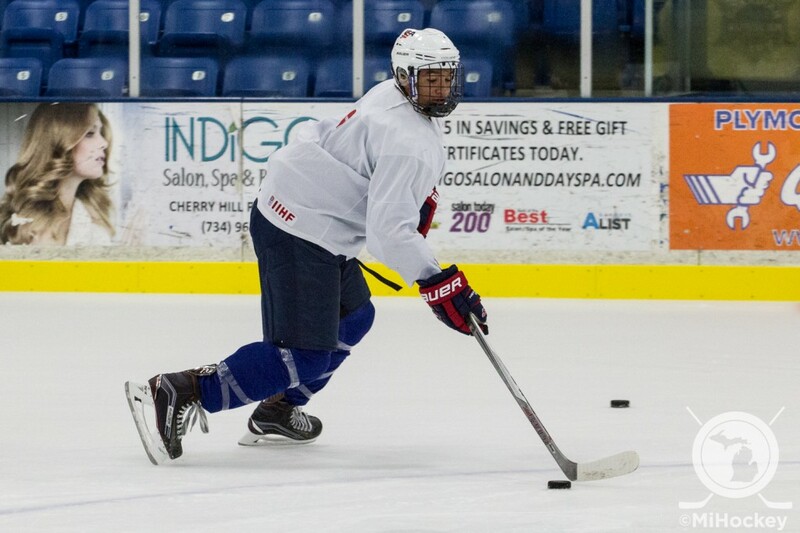 Years later, that recreation skate at a birthday party has yielded one of the top 1999 birthdates in all of the U.S.
Knowing that the NTDP routinely churns out high-end NCAA Division I talents is one aspect of being in Plymouth that Hernandez has realized could work out for him as well. This year, Don Granato coaches the Under-17s and having an ex-NCAA player serve as his coach is another “fantastic opportunity” Hernandez has been provided this year. Granato played at Wisconsin from 1987-1991 and has coached at the USHL, AHL and ECHL levels since 1993, in addition to a stint as an assistant coach with the NHL’s St. Louis Blues in 2005-06. Another unique aspect of Hernandez’s tale is that when he was younger, he had problems skating and stopping – yes, just like the Luis Mendoza character in the second “Mighty Ducks” movie, who was also a Miami native. And with Hernandez being one of four Florida natives on both the Under-17 and Under-18 Teams (Quinn Hughes and Michael Pastujov on the Under-17 Team, Nick Pastujov on the Under-18 Team), plus players from places like California, Texas, Idaho, Missouri and Indiana, it truly makes the NTDP a nationwide phenomenon.